Even the pros had a first time. 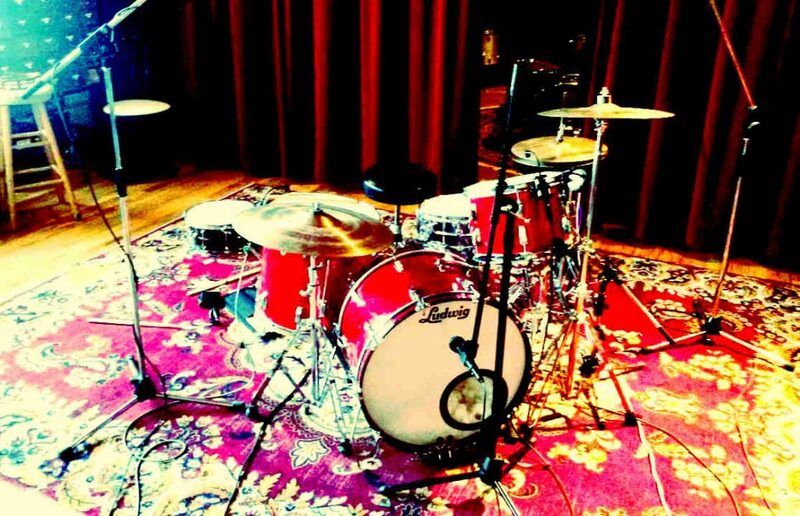 Your first time recording drums can be an overwhelming experience, regardless of whether it’s a home recording setup or a professional studio. Here are the essential tips on what to do before you arrive and while you’re there, to make the most of your studio time. Preparing before actually recording the drums can be the difference between an amazing track and a terrible one. Make sure you’re comfortable with the songs long before you get to the studio… Doing things the right way, especially early on in your recording career, will set you on the path to becoming a drum recording master. Even the pros had a first time in the studio, so think like a pro right from your first time. First of all… Do your homework! Besides simply practicing and rehearsing the tracks (you do need to really know the material), here are some of the most important steps… Many of these points often get overlooked. Become comfortable playing your parts alone, with no other instruments. There’s a good chance you’ll be doing this in the studio. Spend time working on difficult parts, so you’re well prepared for the drum recording session. Don’t just play it until you can do it right… practice it until you can’t get it wrong. Drums are often recorded first, so the drummer usually needs to be the most prepared out of the whole band. Draw up drum charts or makes notes for each track. Even if you’ve got everything cemented in your memory, charts and notes can help you think of the drum parts in a different way. They can also really help if you have a blank during the drum recording session! Buy some extra sticks, drumheads, duct/gaffers tape, and some snacks to keep you going while recording drums. If you have in-ear monitors or headphones that you use for a click track, bring those to the studio as well. The studio will usually have headphones, but you’ll be more comfortable with your own gear. Improve your drumming stamina. You might be recording all day, so make sure you’re prepared for this. Expect to run through each song a number of times. Build up some stamina on your practice drum pad, and your drum kit. Practice with your kit in different positions. With mics all around your kit, you might not be drumming in the most comfortable position like you’re used to. Get used to having your drums in slightly different setups, so this isn’t a huge problem for you. This is also a good tip for when you’re playing live using different house kits. Make a checklist of everything you plan to bring, to be sure you don’t forget anything. Do not skip this step! Don’t let the studio recording be the first time you hear yourself play, because you might just say “oh crap I never realized I did that”! By that time, it will be too late. Record yourself while practicing and listen back to it… This is an amazing way to improve your playing if you’ve never done it before, because you’ll learn things about your drumming that you never knew. It doesn’t matter what you use to record yourself – an old tape recorder, your phone, even your built-in laptop microphone. Even better, video record yourself so you can see your movements around the kit. There are also some really cool recording tools out there like the Zoom H6. The balance between each drum & cymbal – is something overpowering the rest of the kit? If so, work on your dynamics. The timing and flow of your beats – is everything consistent and does it groove? Your fills – do you go off time when doing fills (especially the more complex ones)? Your drum sound – do you need to tune your kit better? Do you need new drumheads? Keep in mind that with one microphone, your drum sound will be very different to the studio sound, but it’s a good starting point. Don’t spend too much time placing microphones around your kit when you do this, just hit record and start playing. A good mic location for when you’re drumming alone is on a small table behind your throne. Record yourself playing alone and with the rest of the band… You’ll want to critique your own playing, and also check that your beats actually fit the song. Determine the tempo of each song (and note any tempo changes and exactly where they occur). The engineer will need to know these details! Map out any drumless sections of your songs. makes notes on how many measures are drum-free, and where these parts occur. Figure out how you’re going to record drums, in relation to the other instruments. You have two choices here… 1) live, with the entire band recording at the same time, or 2) piece-by-piece, recording drums first (and the other instruments later). Tip: Even if you plan to record the drums alone, it can be really helpful to have one or two other bandmates playing along with you in a different room. This is a great technique to keep in touch with the feel of a song, and to keep track of where you are while recording. Check with the studio if you want to do this – they should be able to set this up for you. As a bonus, you can easily record the other instruments (and keep them if they’re good takes). You’ll find it impossible to record to a metronome if you’ve never played with one before. Don’t wait until you’re at the studio to learn to play to a click! As a band, you’ll naturally flow off tempo and sometimes rush or slow some parts if you never use a metronome… When you do record with a click, the track can feel wrong if you’ve never learned to play it in time. Importantly, you’re not going to be as comfortable playing it in the studio because of this. Add a click track to some of your rehearsal sessions and you might be very surprised with the results. It’s important to say that it is not essential to record drums to a click. As a drummer you should absolutely be able to do it, but a lot of amazing albums are made without one. Sometimes a natural variation in tempo is considered a positive rather than a problem… Just make sure you’re avoiding the click for the right reasons, not just because you can’t play with one. Note that if you don’t record to a click, you might limit yourself to using a single whole take of a song… You can’t splice in parts from different takes if you mess up, because they might have a noticeably different tempo. Not using a metronome can also make it more difficult to do overdubs later, especially if the tempo varies a lot. If you’re recording the whole band at once, it’s a lot easier to work without a click track. Usually the band will keep itself in time, and can easily and more naturally react to slight tempo changes. If you’re recording the drums alone, a metronome will probably be a requirement. Most studios will give you a click by default. It’s recommended you use one, unless you have an amazing sense of time, or if you end up losing time because you’re struggling with it. Get used to playing with a metronome long before you hit the studio. The drum recording room may require a softer touch than you’re used to (especially if it’s a small room!). The engineer might ask you to reduce a drum or cymbal’s volume (especially the hi-hats), because there’s too much bleed coming through the mics. 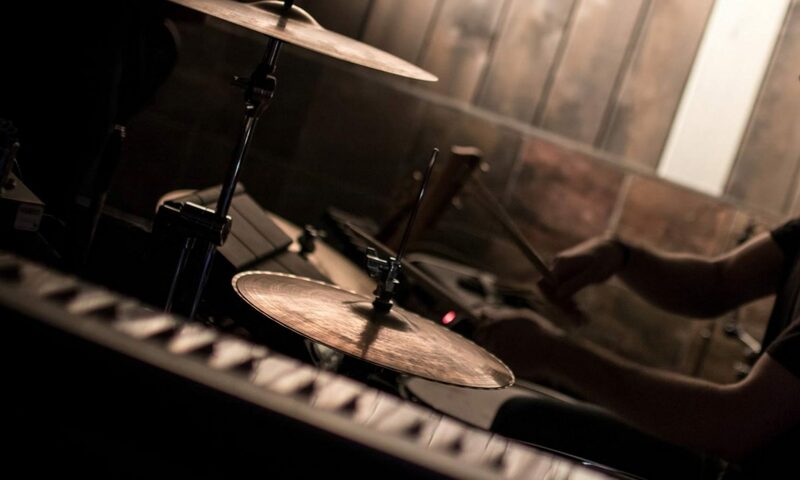 You may be asked to hit the drums more consistently (especially the kick and snare). A lot of uncontrolled volume variation here can lead to a bad take. In all of these situations, it’s critical to be able to easily increasing or decreasing the velocity of one or more or your arms/legs. Your drum recording will turn out much cleaner if you have good independent control over your volume levels. Tip: Take a look at this simple dynamics lesson to quickly gain more dynamic independence. This page has variations for all drummers, ranging from super easy to extremely difficult exercises. Do you want a big roomy drum sound with a lot of reverb, or a tighter sound with more silent space between each hit? Do you want big punchy drums that really stand out, or is there another instrument that takes the lead? Do you want a lot of sustain after each drum is hit, or do you want to keep each stroke short and controlled? Do different songs require different variations of the above points? Many of these things can be achieved during mixing (which is done after the drum recording), but it’s still very useful to have a basic idea of the sound you want. Different microphones or recording techniques can be used to get a huge variation in the final recorded drum sound. Check out our huge drum dampening and drum muffling guide for help with how to create specific drum sounds with dampening. Tip: See the Drum Sound FAQ for all of the essential info on the factors that influence your drum sound. Find out exactly what drum gear is available at the studio for you to use. Is there a nice drum kit for you to record with? Do they have a nice selection of snare drums or cymbals you can use? What are the condition of the drumheads on the studio’s kit (and do they match the sound you want)? Do you need to bring your own pedals/cymbals/etc? Are there enough stands and other hardware (and does the studio have enough straight or boom stands for your needs)? If you’re using your own kit, can you load in and set up before the recording session to save time? Is your kit not ideal for recording? Think about hiring a nice drum kit from your local drum store. Double check there’s nothing else you need to do or bring to the session. Don’t find out you’re missing one crucial item on the day of recording! Note: If you want to make big changes to the studio kit for your drum recording session (e.g. changing all of the drumheads), double-check this is okay first! Do this at home before the drum recording session! Check for any loose screws, rattles, squeaks, or other strange sounds. All of these things can be picked up by the studio microphones. If a drum key or screwdriver won’t fix the problem, use tape or spray-on grease. If you buy new drumheads, play them for a few days before going into the studio. Brand new drumheads can take a little time to stretch and settle – they’ll stay in tune longer after you’ve played them a little. Need help tuning your drums? See the step-by-step guide covering all of the drum tuning basics. 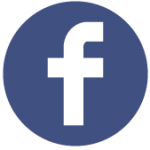 If you want some extra tips and tricks, take a look at this page. 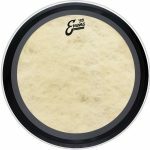 Tip: Looking for new drumheads with a particular sound? Check out the Drumhead Selector – the internet’s best drumhead search and compare engine. It is extremely important to tune your drums well for recording. If you’re really struggling to tune your kit, look for a private drum teacher and ask for a one-off tuning lesson. You can also ask a more experienced drummer (or drum teacher) to come to the studio on the recording day to tune for you. A lot of pro drummers have drum techs who do this for them, because they understand that tuning it is critical for a good recorded drum sound. Pay extra attention to your snare drum and bass drum, as these are usually the most central drums in your sound. Finally, make sure you’ve got a good bass drum pedal, and that it’s set up properly. Okay, so you’ve spent time practicing, preparing, and all of your gear is ready to go. Here’s what to do when you first arrive, and during the drum recording session, to maximize your day. At the beginning of the day, you’ll probably spend a lot of time just setting up and doing tests… the actual drum recording part may not happen for a few hours! Once the drum kit is set up, microphones need to be placed around it, and then checked. The engineer will probably make some small adjustments to get a better sound, and don’t be surprised if they ask to change your tuning or add/remove drum dampening. If there’s a big problem with something in your kit, you might be asked to use some of the studio’s gear instead. An experienced engineer will know how to get the most from the mics and the room that the drums are in, so work with them and chat about the sound you’re aiming to capture. Drum tuning, mic placement, and testing are all critical for a good recorded drum sound, so it’s important to take the time to get these things right. Don’t get impatient during the setup and testing stages, because everything the engineer does here is designed to make you sound better. Trust their judgement – from where they’re sitting they can zero in to hear every tiny detail in your kit. This is necessary for two reasons: 1) to loosen up, and 2) to check your kit is actually set up right. Spend 10 to 15 minutes playing after setting up the drum kit, and do some rudiments and exercises around the kit. Run through any fills or beats that you’re less confident with. Do at least some of your warm-up with the click track, and check the volume of the click against everything else you’re hearing. Also use this time to check your drum kit: Is everything tuned the way you want? Do you need to move anything before you start recording? This is another really important step before starting the drum recording session. Tighten your cymbal arms, drum stands, pedal beater(s), bass drum legs, the hi-hat clutch, and anything else you have. You don’t want to be in the middle of an amazing take and have something come loose or fall down. Tip: This is also a good habit to get into before a live show! Track an easier song first – don’t jump into something you’re not comfortable with. It can take time getting used to the recording environment, especially if you’re new to it, so start easy. Once you’re warmed up and more comfortable, you’ll be able to record the difficult drum tracks with a lot more confidence. Tune everything before you start recording drums for each song. After that, only do minor adjustments if your kit start to go out of tune. The reason is this: Changing your drum sound after 2 takes of a song means you wont be able to splice in anything from the next few takes (to fix a mistake), because you’ll have a noticeable difference in drum sound. Find the best tuning and stick with it, unless things really aren’t working and you need to change the sound. When you move on to recording the next song, you’re free to change your drum tuning as much as you like. Similar to the above point, don’t move things around once you’ve started recording drums for a track. If you start moving your gear, the room mics will pick up a different drum sound, again making it more difficult to splice different takes together. When you move on to recording the next song, you can change your drum positions if you need to. Just let the engineer know first, because they’ll need to reposition some of the microphones. Don’t be afraid to go and listen back after recording the first few takes. Think about the sound you have, and also the flow and timing of your playing. Are you rushing any parts? Do the drums have the sound you’re looking for? Discuss this with the engineer to make sure you’re on the right track with things (just remember the raw unmixed drums can sound very different to the final product!). Knowing about any issues early in the drum recording session will save you a lot of time later. Make sure you have breaks for food and to keep your energy up. It can be a huge day when you’re recording drums! Send a bandmate to get food while you’re recording, or bring enough with you to keep you going. Drink plenty of water, and take a short break if you find yourself getting tired. A quick break in the drum recording session can give you a much needed energy boost. and finally… Be nice to the engineer! This is important – they’re the one person who has full control over your recorded drum sound! Listen to their advice, and talk to them about any problems you’re having. Chances are they’ve had experience dealing with any issue that comes up, so they’re a great resource for drum recording tips and tricks. Make their life easier by never move microphones or other gear (tell them if you need to). And remember to thank them if they do a good job! Got any other tips, comments, or something you’d like to share?